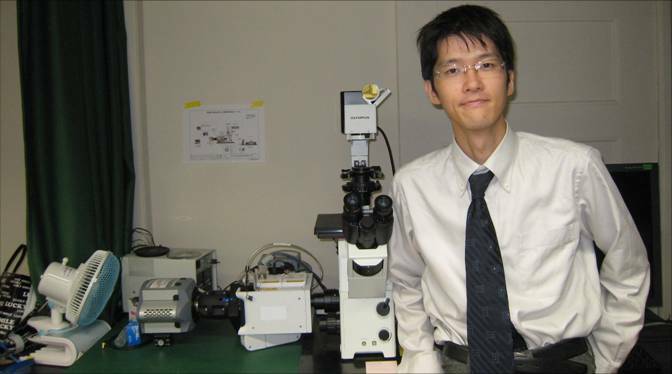 Dr. Nishimura has developed an in vivo molecular imaging technology that can elucidate the molecular mechanisms of pathological conditions. This is something that could never be done through conventional studies using fixed and immunostained organs.With this advanced system, he has successfully observed local inflammation in vivo and in real time, of obese adipose tissue, a world first in the research field. In recognition of his significant contributions to metabolic syndrome research and his acquisition of outstanding live-imaging data, he has received many research awards in the past few years. 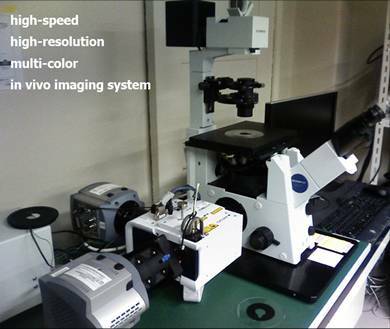 Why did you choose the CSU for your imaging system? The most important advantage with using the CSU in my research is its high speed. To observe pathological conditions at a cellular level in a live animal, it is absolutely necessary to image as fast and as non-invasively as possible. Thanks to the CSU’s high image acquisition speed, I can quickly identify areas of interest inside a body, thereby reducing photodamage, and also can clearly record rapidly moving organelles such as platelets at a single cell level. Furthermore, I can simultaneously record the kinetics of multiple cell types such as leukocytes, red blood cells, platelets, macrophages, and endothelia by staining individual cells and using dual-color excitation and dual-color emission. Which direction will your research take you next? I am currently focusing on metabolic syndrome, particularly the elucidation of how obese adipose tissue is remodeled and the role this plays in causing abnormal function and pathological conditions associated with obesity. At the same time, I have realized that in vivo molecular imaging technology can be an important and effective tool for studying diseases, and am trying to expand my research to target a wider range of diseases. 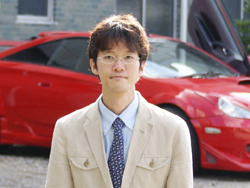 To do this, I would like to achieve advances in in vivo imaging technology by looking further into various types of imaging such as two-photon microscopy and taking advantage of the unique merits of each instrument type. While many CSU users have been trying hard to capture in vivo images of micro-circulation and molecular level phenomena, your movies are really outstanding. What is your secret? Could you give some technical advice? An example of real-time movie of microcirculation in mouse. In reality, there is no easy way to do this. For successful live imaging, it is important to exercise ingenuity at each step of the process – something that is rarely mentioned in research reports. 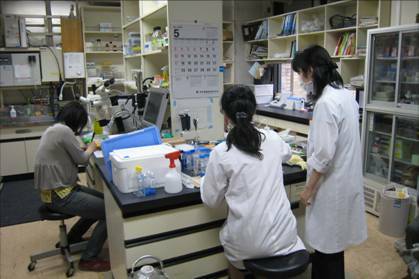 For example, some key points on the sample side are how one handles model animals, administers anesthesia, and prepares observation windows. For the fluorescent staining method, these include the selection of dyes, determination of dosage, combination of multiple dyes, and selection of solvents. You may have to rely on trial and error to find the optimal condition. Examples of typical mistakes include the inappropriate exposure of tissues to air, which can cause inflammation; excessive doses of dyes; and/or excessive exposure to light, which can cause phototoxicity. Honestly speaking, it is very difficult to remove secondary artifacts and visualize truly intrinsic biological phenomena in an organism. Nevertheless, there is a tremendous amount of invaluable information that can be obtainable from live imaging. I would be happy to assist anyone who truly wishes to work with this important technology.